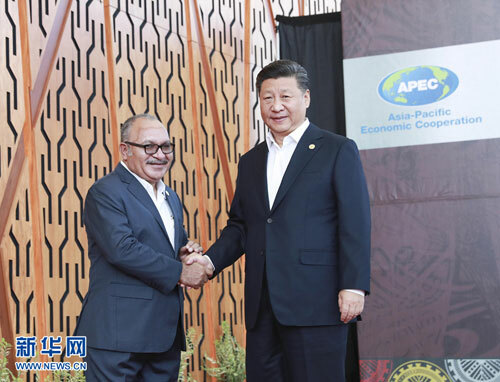 PORT MORESBY, Nov. 18,Chinese President Xi Jinping called on Asia-Pacific Economic Cooperation (APEC) economies to bring their cooperation to a higher level based on a keen appreciation of the trend of the world and its economy. Underlining the trend of economic globalization, economic integration in the region, and an open economy, Xi urged the economies to keep the momentum of Asia-Pacific cooperation during a speech at the 26th APEC Economic Leaders' Meeting hosted by Papua New Guinea (PNG) Prime Minister Peter O'Neill here on Sunday. "Our world is undergoing rapid development and changes," Xi said at the meeting under the theme Harnessing Inclusive Opportunities, Embracing the Digital Future. "We have reached a crossroads of history, when we must have a keen appreciation of the trend of our world and take the pulse of the world economy," he said, "That is how we will be able to respond to the call of our time and chart our future course accordingly." Firstly, the economies need to advance economic integration in the region so as to build an open economy in the Asia-Pacific, the Chinese president said. "We should continue to promote trade and investment liberalization and facilitation," he said. He called on the economies to adopt an open, inclusive and transparent approach to the various kinds of free trade arrangements to ensure coordinated and positive interactions among them. "We need to firmly uphold the rules-based multilateral trading system and say no to protectionism," he said. The World Trade Organization (WTO) is exploring a new round of reform, Xi noted, saying such reform should be designed to uphold the core values and underlying principles of the multilateral trading system. "What we need is to make economic globalization more open, inclusive, balanced and beneficial for all," he said. Secondly, Xi highlighted the need to pursue innovation-driven growth and foster new growth drivers. He called on the economies to fully implement the Internet and Digital Economy Roadmap in a balanced way, so as to unleash the growth potential of digital economy. "We need to promote the building of digital infrastructure and capacity, make digital economy more accessible and bridge the digital divide," he said. "Our goal should be for the benefits of digital economy to reach all member economies at different stages of development and for the people of the Asia-Pacific to get aboard the fast train of a growing digital economy," he said. Thirdly, Xi urged APEC members to improve the connectivity network to promote inclusive and interconnected development. 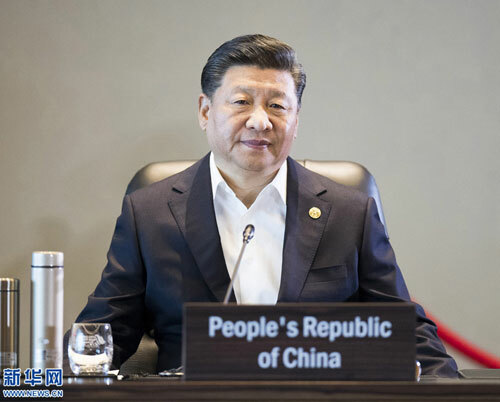 Noting that efforts are required to turn their connectivity blueprint into reality, the Chinese president encouraged the APEC economies to take the 2030 Agenda for Sustainable Development as a guide and adopt more concrete steps to make development more balanced, growth more sustainable, opportunities more equal and societies more inclusive. Fourthly, Xi called on APEC members to forge a closer partnership and jointly meet common challenges. 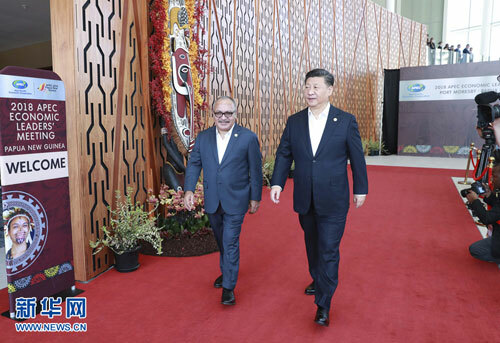 He said it is important for the APEC economies to stay committed to the shared goal of common development and explore solutions to common challenges. "We need to respect diversity and each other's choices of development path, promote integration and mutual learning on the basis of openness and inclusiveness, and engage in both healthy competition and mutually beneficial cooperation," he said, stressing the importance of jointly building a community with a shared future in the Asia-Pacific. This year marks the 40th anniversary of China's reform and opening-up initiative, Xi said, adding that his country will pursue with resolve continued reform across the board. China will continue to pursue its fundamental policy of opening-up, he added. China follows a people-centered development philosophy and a new development vision that features innovative, coordinated, green and open development for the benefit of all, he said. The overall momentum of sustained and sound growth of China's economy will continue, he said. China seeks deeper cooperation on digital economy with other members of the Asia-Pacific so as to expand convergence of interests and create more growth areas, thus adding strong and fresh impetus to the Asia-Pacific economy, he said. China will work with all countries involved under the principle of consultation and collaboration for shared benefits to pursue the Belt and Road Initiative against high standards so that it will create even greater development opportunities for the people in the Asia-Pacific and beyond, he said. Xi said leaders of the Asia-Pacific share a common responsibility to chart the long-term development course for APEC and draw up a post-2020 vision. China is a champion of Asia-Pacific cooperation and has taken concrete steps to promote cooperation on the ground, Xi said. Close cooperation with other members of the Asia-Pacific is indispensable for China's development, while China's development, on its part, offers broad opportunities of development for the Asia-Pacific, he said. Xi pledged that China will stay deeply engaged in the Asia-Pacific cooperation process, deepen practical cooperation with other parties involved, and make new contribution to the development and prosperity of the Asia-Pacific region. Leaders of the APEC economies agreed that the Asia-Pacific economy has bright prospect but is also facing challenges of trade barriers and protectionism. 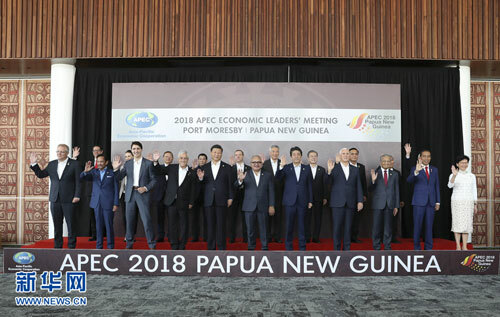 Under current circumstances, all participating sides should staunchly protect multilateralism and a multilateral trading system, stand against protectionism, and support APEC in playing an important role in facilitating trade and investment liberalization and realizing a balanced, innovative, sustainable and inclusive growth, the leaders said. Calling for advancing the Free Trade Area of the Asia-Pacific (FTAAP) and jointly building a vibrant and open Asia-Pacific, the leaders urged all sides to press ahead the work on drawing up a post-2020 vision and popularize the achievements of digitalization and innovation in all member economies. Earlier in the day, Xi and other APEC leaders also attended an informal dialogue on world economic situation and were briefed by chief of the International Monetary Fund Christine Lagarde. The Chinese president arrived here Thursday to pay a state visit to PNG and attend the APEC Economic Leaders' Meeting. PNG is the first stop of Xi's ongoing Asia-Pacific tour, which will also take him to Brunei and the Philippines.